Si-Ware Systems (SWS) is an independent fabless semiconductor company providing a wide spectrum of product design and development solutions, custom ASIC development and standard products. SWS leverages its highly talented teams in MEMS design and development as well as Analog/Mixed-Signal and Radio Frequency (RF) Integrated Circuits (ICs) to provide highly innovative solutions and products in different areas ranging from PLL based timing circuits, sensor interfaces, frequency synthesis, data converters, RF front-ends, and MEMS-based sensor systems. Mentor Graphics is a leader in electronic design automation software. We enable companies to develop better electronic products faster and more cost-effectively. Our innovative products and solutions help engineers conquer design challenges in the increasingly complex worlds of board and chip design. Swiftronix is a fast growing offshore VLSI and Embedded Systems consulting company headquartered at Cairo, Egypt. It offers world-class services like Design specification, Architecture specification and design, Logic design, RTL coding, Logic verification, Synthesis, Timing analysis and closure, Place and Route, chip layout, Physical verification, and Test pattern generation. Swiftronix offers a comprehensive design consulting service that is cost effective and meets your business objectives. 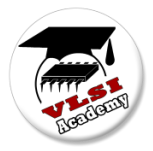 Si-Vision is a fabless semiconductor company which provides complete custom solutions in Analog/Mixed and RF design fields. Our vision is to be one of the top design centers. Si-Vision believes in combining the sense of innovation and the deep practical experience to provide high performance and low power analog and mixed signal IPs to its customers, using a well defined and robust design process. Si-Vision's mission is to provide an IC design services, depending on our engineering excellence, to meet high performance system requirements while exceeding customer's quality, service and delivery goals. SilMinds offers innovative solutions for Decimal Floating Point Arithmetic (DFPA) hardware and monetary calculation engines acceleration. We are the first to introduce an extensible library of Intellectual Property (IP) core units that is fully compliant with the IEEE 754-2008 standard for floating point arithmetic. SilMinds technology serves various financial applications that merit intense high-precision monetary operations; in sectors such as capital market, core banking, global tax compliance, and the rapidly service-convergent rating and billing by Communications Services Providers (CSPs). Our business motivation is driven by conforming to regulatory precision requirements, yet offering the added value of one or more orders of magnitude computaional speedup. Varkon Semiconductors was founded in January 2008 by a team of PHY layer experts, who had previously held leading design positions in the industry, with such firms as ADI, TI and Lockheed Martin. Our team, with extensive experience and in-depth knowledge of wireless and wireline protocols, offers expertise in system and algorithm design and simulation, all the way through to FPGA and ASIC implementation. Varkon Semiconductors specializes in IP cores for Digital Media Solutions, and Physical Layer Design. Varkon Semiconductors supplies PHY layer designs to chip manufacturers, with the goal of giving our customers the lead in the market through our efficient and highly performing algorithms. Newport Media Inc. ("NMI") designs and sells RF system-on-a-chip solutions for broadcast, wireless connectivity and cellular markets. NMI leverages its unique OFDM baseband, RF, and mixed signal platform technologies to bring to market complete system solutions that are higher performance, lower power and more cost effective. NMI's portfolio of products include a broad selection of integrated SOC solutions for wireless connectivity and broadcast communications (includes Mobile TV, Cable, LCD and Set-top box applications). BioBusiness is a newly established R&D center for design, prototyping and development of Medical Equipment. The current main facility is the R&D center located in the Haram District, Cairo, Egypt. BioBusiness aims to employ an inter-disciplinary team of highly qualified research and design engineers, business experts, sales & marketing personnel, and financial personnel. BioBusiness develops and markets health monitoring systems and services that help improve the quality of living for the people of Egypt, the Middle East, and ultimately the global market; that are reliable, convenient, and affordable. The vision of BioBusiness is to "enable the caregivers to provide higher quality healthcare for patients, anywhere, anytime". For this purpose, the mission of BioBusiness is to "develop the capacity of caregivers and provide them with state-of-the-art, innovative, and highest-quality healthcare products, services, and integrated solutions". 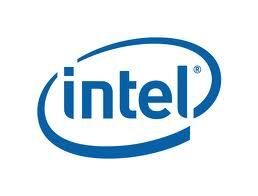 Intel Mobile Communications GmbH is a subsidiary of Intel Corporation headquartered in Santa Clara, USA. The company develops and markets innovative semiconductor products and solutions for mobile communications – most notably in the rapid-growth market segments of smart phones, tablets and ultra-low-cost mobile phones. MEMS VISION is a privately funded, fabless semiconductor and MEMS company which provides miniaturization solutions to the sensors and high performance electronic timing markets. The company capitalizes on a strong portfolio of intellectual property on MEMS and ICs, and a team of highly qualified personnel, to offer a wide range of products and services to its customers and partners - starting from custom development of ASICs and turn-key solutions, to off-the-shelf IP and standard chips. Mentronix is an integrated solution provider specialized in the field of electronic design; addressing a broad spectrum of solutions encompassing Electronic Design Automation (EDA), Programmable Platforms, Embedded Systems, Technical Computing, Model-based-Design and services. Vidatronic is a fabless semiconductor and systems company that provides power management solutions for multiple market applications. Our energy efficient solutions minimize overall system cost and number of external components while providing best in class power efficiency and supply noise isolation. SoftMEMS was founded in 2004 by Dr. Mary Ann Maher. SoftMEMS products are based on the MEMS Pro software developed by Dr. Maher's team at Tanner Research in 1997 and the MEMS Xplorersoftware developed by Dr. Jean Michel Karam's teams at TIMA and MEMSCAP. Hittite Microwave Corporation designs and develops high performance integrated circuits (ICs), modules, subsystems and instrumentation for technically demanding digital, radio frequency (RF), microwave and millimeterwave applications covering the frequency range of DC to 110 GHz. We have developed a deep knowledge of analog, digital and mixed-signal semiconductor technology, from the device level to the design and assembly of complete subsystems. Scenario Design Services’ mission is to become an invaluable and reliable business partner in IC Design & EDA Consulting through offering knowledgeable solutions and unique services. Consultix offers a wide range of design and fabrication services in the electronics and RF field including custom electronics design, embedded systems design, data acquisition, computer interfacing, consulting services for the electronics industry and wireless communications, innovative antenna design, antenna consultancy and training. Consultix offers customers a team of seasoned experts with a broad understanding of the specific challenges they face and the technical creativity to meet complex requirements. Consultix provides customers with a wide range of easily-adapted, cost-effective, and highly-reliable products and services. 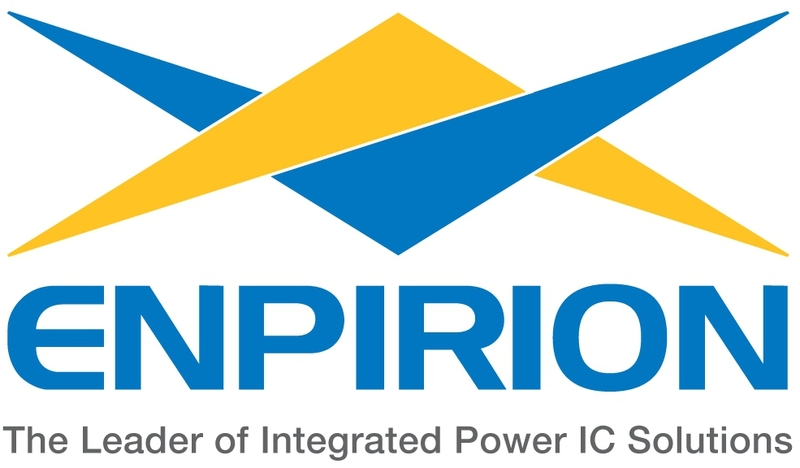 Enpirion Inc. is a privately held, analog semiconductor company with expertise in highly integrated power-management solutions. Through our patented technology, Enpirion has developed the industry’s first family of Power Systems-on-a-Chip (PowerSoC) featuring integrated inductors, which uniquely enables the combination of high efficiency, industry-leading footprint and low-noise performance. Enpirion's value proposition has been recognized through successful engagements at many Tier 1 customers in a broad set of high-growth markets. Enpirion's focused markets include Mobile Broadband, Enterprise, Solid-State Drives, Telecom, Home Entertainment, Industrial and Test & Measurement. Enpirion’s products are sold through direct sales, manufacturer’s representatives and distributors.